When designing your home theater, it’s vital to consider a few things: What do you want this space for? A place to escape from the day-to-day hustle and bustle? Or possibly a place where you and the kids can play? For most, a balance between play and relaxation is the sweet spot. With a few simple additions, your home theater can go from outdated to sophisticated fun the whole fam can enjoy! The easiest way to update your media room is to furnish it with exquisitely tailored home theater seats like those from Seatcraft. The Grenada seats are not only are they comfortable, but they also add a touch of class and sophistication (and take you to a different land where your 4 year old isn’t throwing popcorn at you during the whole movie). Escape from the mundane and prop your feet up on one of Seatcraft’s finely made home theater seats! 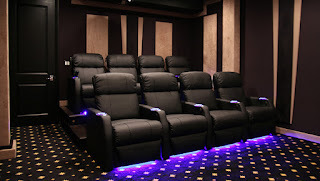 For your all-in-one home theater set-up, try a complete home theater package, exclusively at 4seating.com! What’s included? It varies based on the package and price. A fan favorite is the Seatcraft Sienna Complete Theater Design pictured here. column provides 18 colors to choose from. This is a great way to add a touch of elegance and is built to fit the height of your ceiling. Majesty theater carpeting provides that quintessential movie theater style but with the luxury commonly known by 4seating. What else? Soundright acoustical wall panel and last but not least, luxury home theater seating provided by Seatcraft. 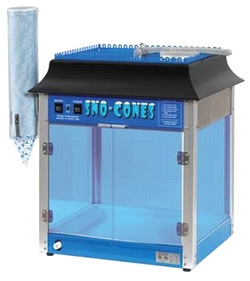 Whether you want to cool down during those hot summer months or simply release your inner child, a Sno-Cone machine is the ultimate addition to your home theater. Get creative and have fun with various flavors and mixtures to customize your shaved ice! Kick your movie experience up a notch with SoundShaker, a seat vibration kit. Don’t just watch the movie - FEEL it! Once attached to your Seatcraft chair, it shakes and vibrates in synchronization with on-screen action! This revolutionary product is one of a kind and allows you to feel as though you are in the movie. 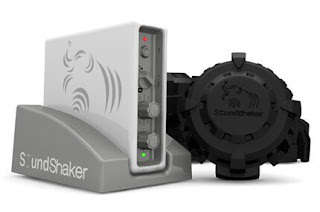 Take your movie watching experience to a new level by adding a SoundShaker to your home theater seats! Lumbar support? Check. Power recline? Check. Wine caddy? Double check! Just like a fine wine and cheese go together, a good movie is made complete with a glass of wine. 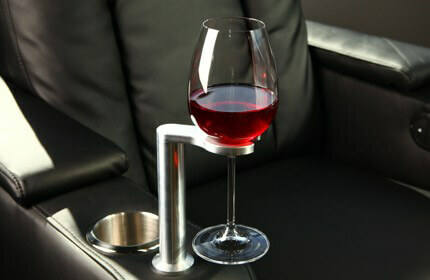 Adding a Seatcraft wine caddy to your luxury home theater seat is the perfect way to decompress and unwind after a stressful day. With “no-spill” technology, this wine caddy will fit any size glass. Every wine enthusiasts dream - a good movie AND wine! 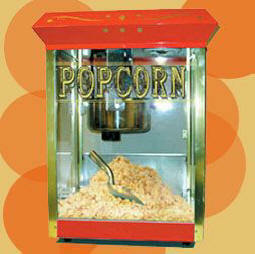 A movie night isn’t complete without the aroma and crunch of freshly popped popcorn! Just because you’re watching the movie at home doesn’t mean you have to forego the theater-style popcorn! No need to lose that nostalgic feeling of heading to the theater. Your new home theater is made complete with a high-quality popcorn machine. With a variety of options available from stationary stands, wheeled carts, and traditional hot air poppers. While we may be experts in home theater seating, we know which additions truly enhance your movie-watching experience! Forget the costly concession popcorn purchase or leaving the movie for the refill! Grab a fresh bowl of popcorn and make a movie night tradition for lasting memories to come. SoundRight surround curtains add class to your home theater and create the perfect movie theater design. 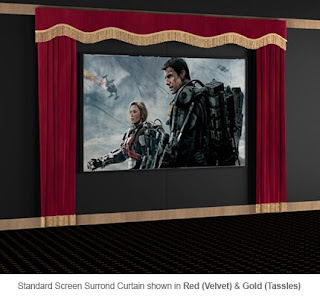 Give that barren screen wall a facelift with red, blue, or black color options to coordinate the decor of your home theater. The classic red curtains add that quintessential theater feel that leaves you feeling like you’re at the movies without leaving your home! These are built to fit the dimensions of your ceiling height and screen size. They are made to maximize your viewing experience, so head over to 4seating to add surround curtains to your home theater! 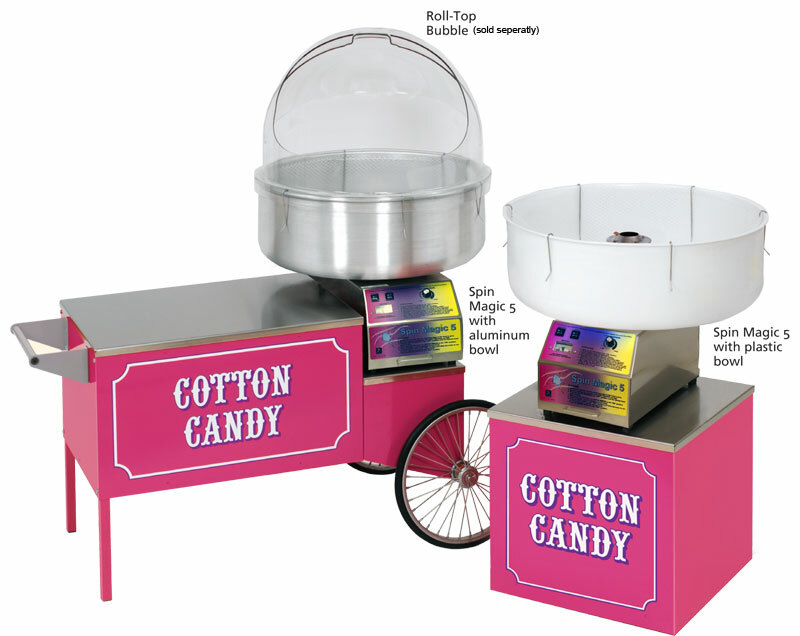 Reminiscent of simpler times, a cotton candy machine satisfies the sweet tooth during your movie! With different styles to choose from, you will be able to pick one that is right for you and your guests. These high quality machines produce high quality results to take you back to your childhood with flavors like strawberry and blue raspberry. So check out these vintage designs and make your home theater the place to be for movie night! 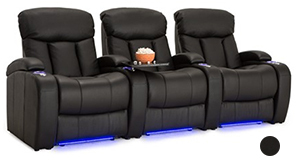 Designing and decorating your home theater is made easy with the help of 4seating.com. Simple changes and additions can easily take an outdated room to complete luxury that is both fun and relaxing. 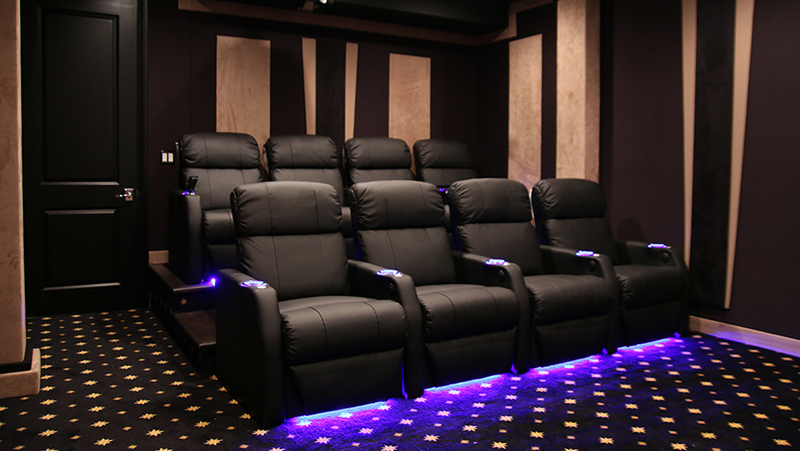 So, head over to 4seating.com to start designing your dream home theater today!